This L.C. 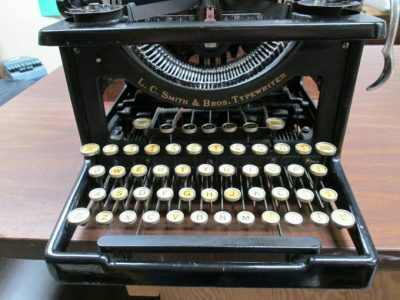 Smith #8 Standard typewriter from the year 1921 is in very good shape. 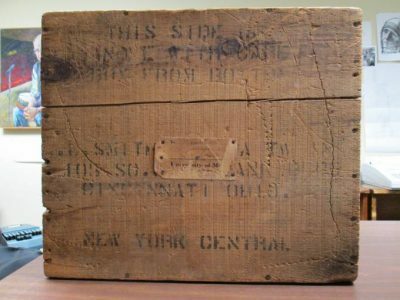 It even comes with the original shipping crate. I love how the crate has “Ball Bearing Long Wearing” on the side. 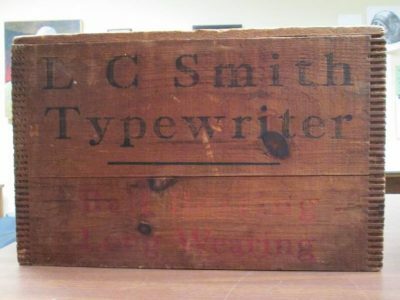 This machine and crate is a consignment and here is what is known about the L. C. Smith as related to me by the current owner. 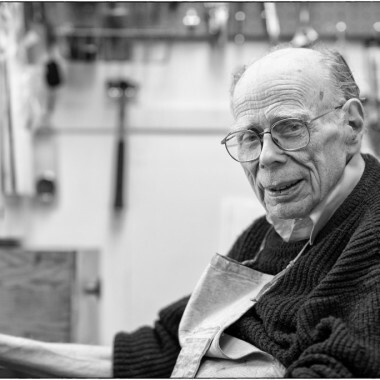 The original owner was born in 1904 in Covington, Kentucky. She went away to College at the University of Maine in perhaps 1921 or 1922. 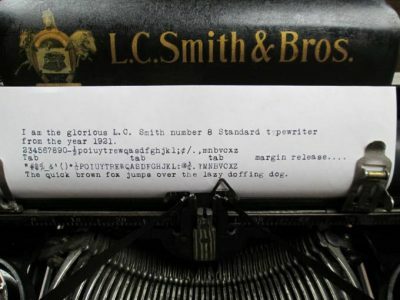 I do not know if she had the typewriter before she went to Maine or if it was purchased new and delivered there. She was a school teacher, a bookkeeper, a tax preparer and I suppose other jobs I don’t know about. 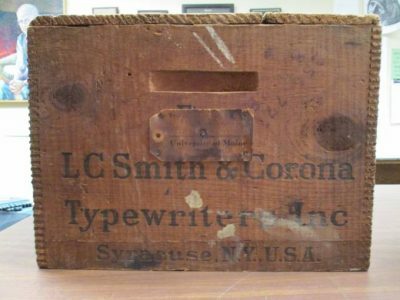 As the wooden box shipping label indicates she shipped the typewriter home to Covington, I assume after graduation. She passed away at age 92 in 1996 at home in West Union, Ohio. After she passed we took the L.C. 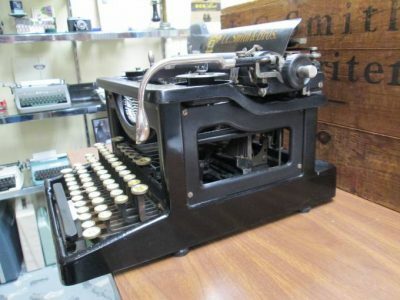 Smith typewriter to our home in Munster, Indiana and kept it displayed in the home office. In 2001 we moved to Gig Harbor. 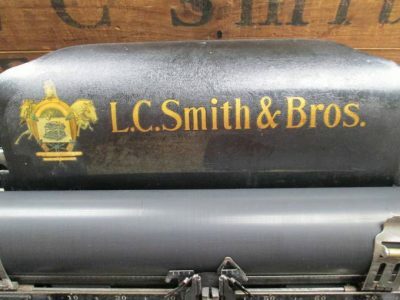 In Gig Harbor I kept the L. C. Smith displayed in my home office. We recently downsized and no longer have a place to display it. 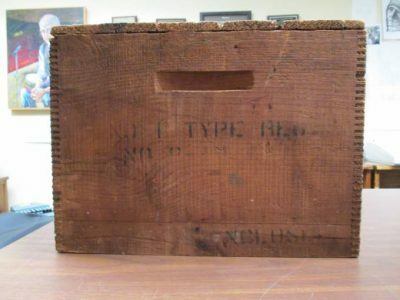 So, the typewriter and its original packing crate has made the journey from the Eastern most state to the Western most state in the continental U.S. 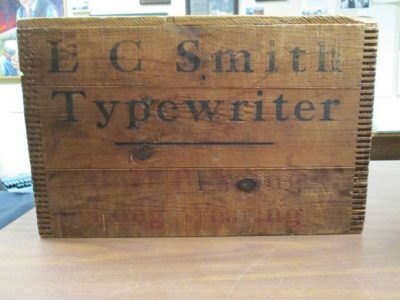 I love the history and it is not often you find a typewriter with its original packing crate. 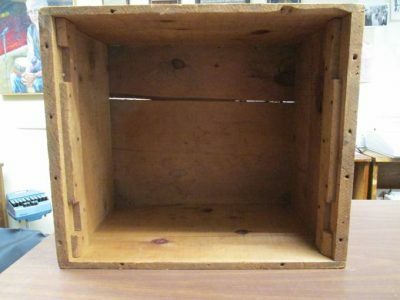 The base to the crate is missing. 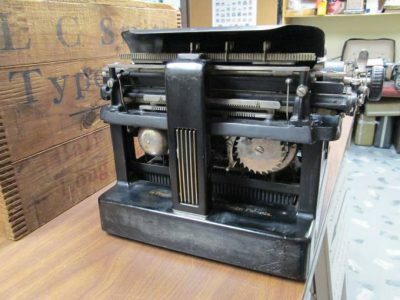 The machine sports new rubber feet, has a nice platen, is recently serviced and works quite nicely putting good print on paper. 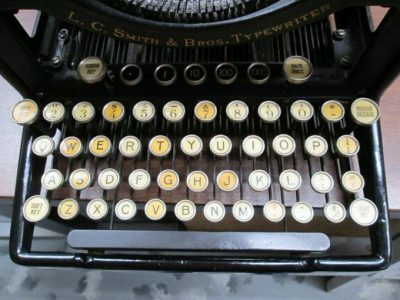 Pica type face, 10 CPI.